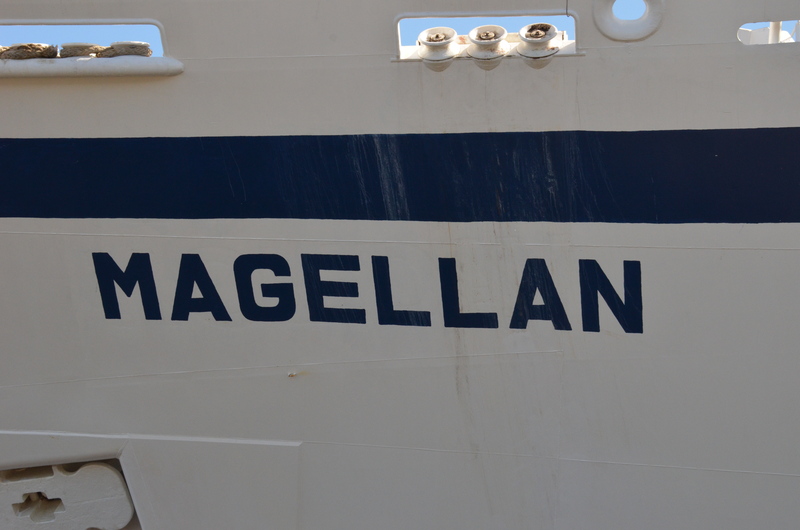 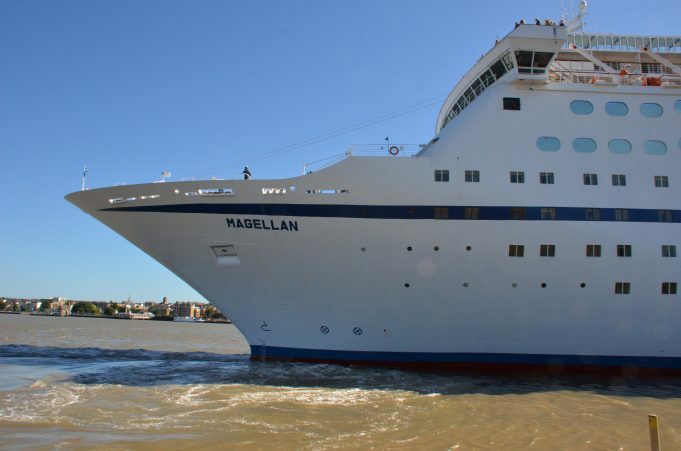 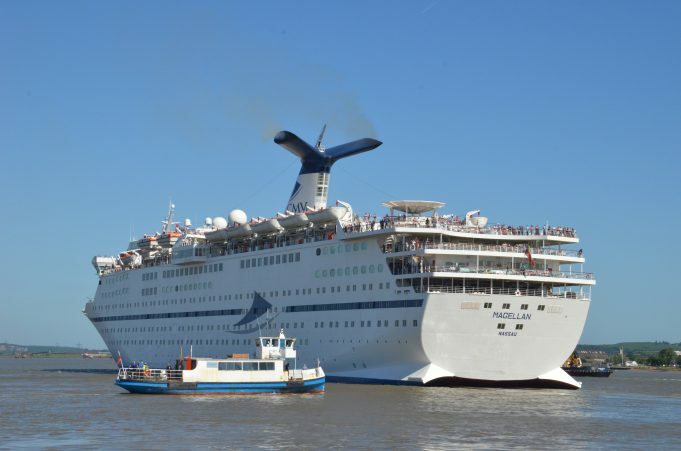 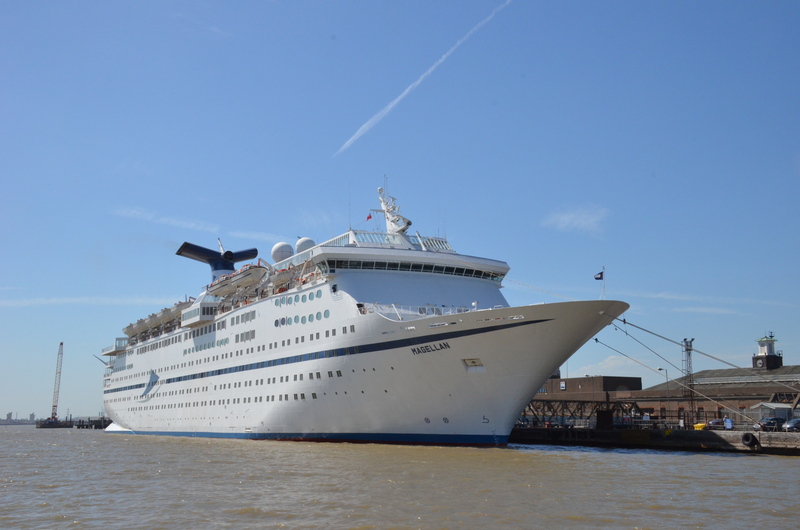 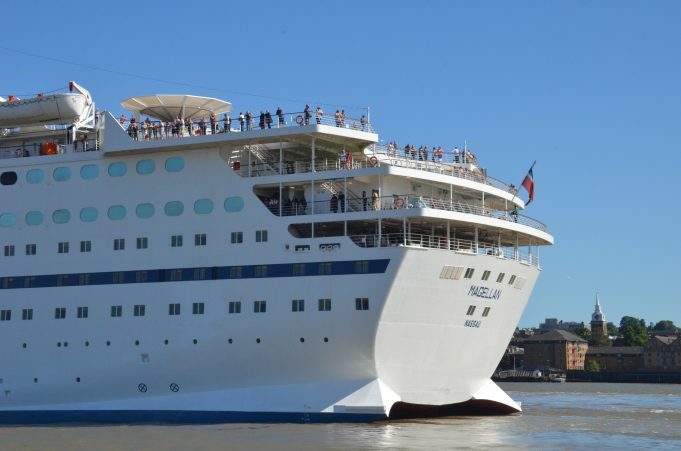 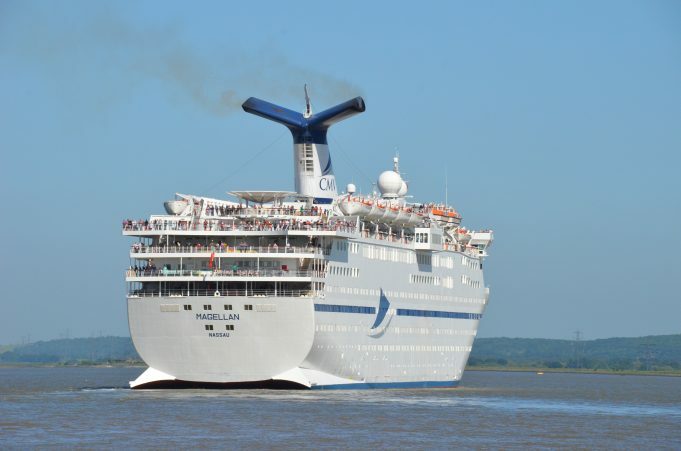 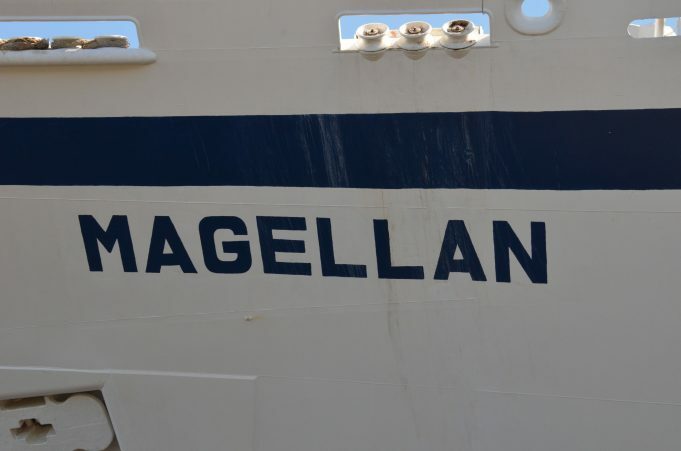 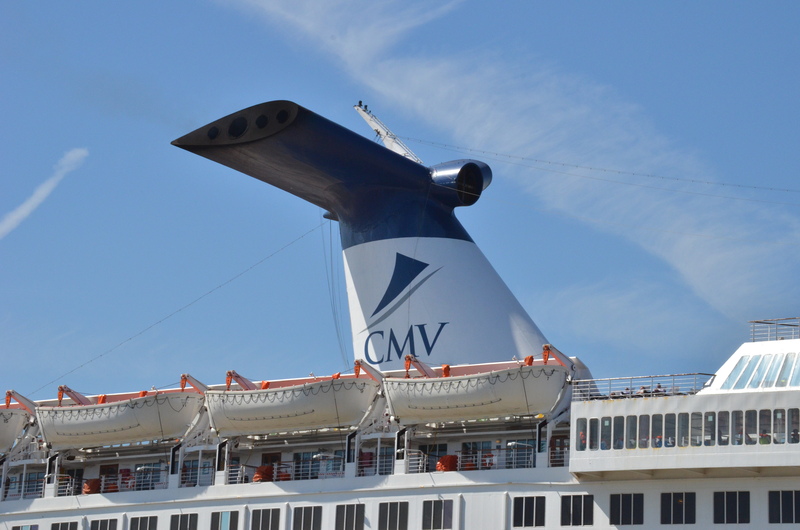 The cruise ship MAGELLAN leaving Tilbury Landing Stage on 4th of June 2015. 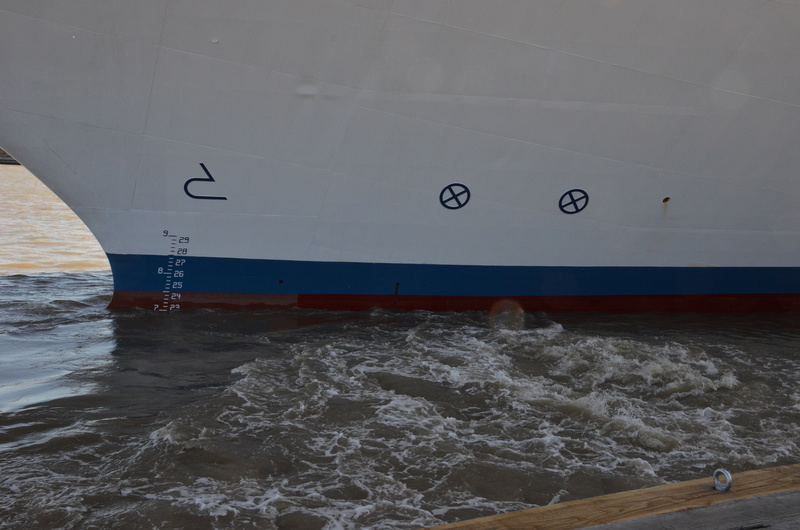 She sailed to Amsterdam. 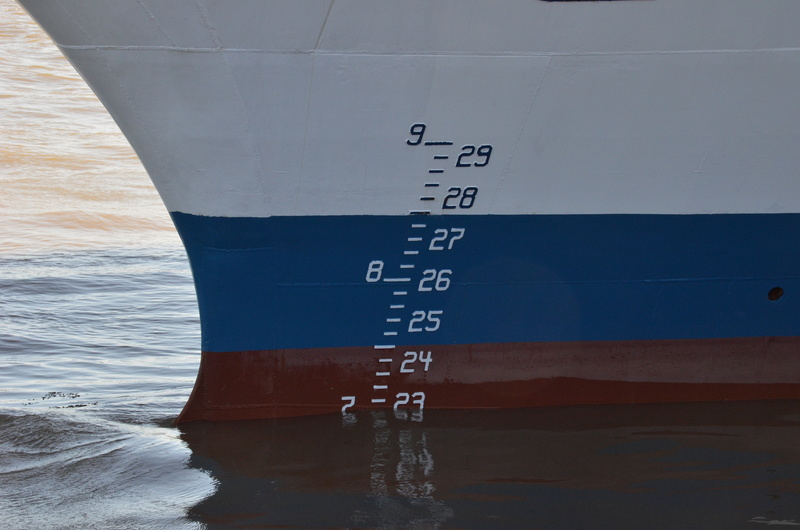 Her 23 ft draught and her bow thrusters can be seen. 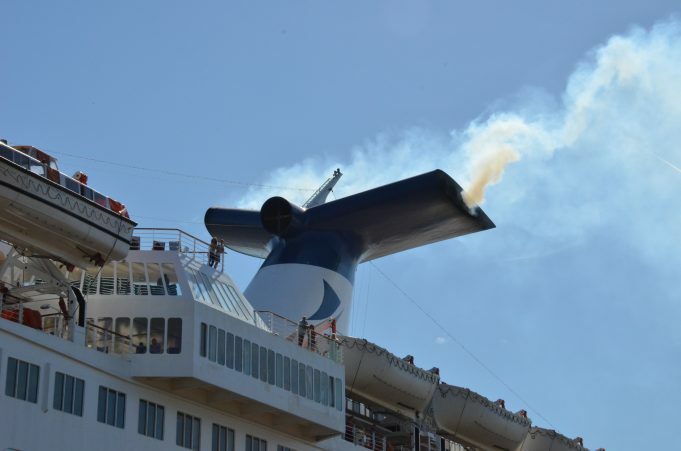 Also the extensive pollution from the ” wings ” on her funnel.